Yesterday I met for coffee with one of my clients who is hoping to buy a home in a Seattle area neighborhood for around $600,000. They have already taken one of the most important steps in the home buying process by getting preapproved for a mortgage. The preapproval process required they complete a loan application and provide me with documentation that supports the information provided on the loan application (such as W2s, paystubs and bank statements). After having a complete application, I am able to run their credit reports and run the scenario through automated underwriting, which provides us with an approval and conditions to that approval. Here’s a bit from our conversation with a few of their questions. Is it challenging to qualify for a home in Seattle? VA home buyers can have a low-mid credit score of 620 with zero down payment up to $500,000. A $600,000 sales price would have a down payment of $25,000 with a VA Jumbo. Income must be documented and consistent. NOTE: if your self-employed, paid commission or hourly (vs. salary), you will need a two year history and income will be averaged. NOTE: If you are planning on using your 2012 income, you may want to consider filing your income taxes as soon as possible. Down payment and funds for closing must be documented with complete asset account statements. What are the biggest “hiccups” in a transaction? borrowers need to continue providing paystubs and bank statements. Do not toss or shred anything that has to do with your assets or income. large deposits (typically this is anything over $1000) must be documented…so if your Great Aunt Nelly is giving a wad a cash or a check for a birthday present at the time you’re getting ready to buy a home, keep documentation or proof of where the cash came from. if you are planning on using 2012 income for qualifying, you need to file your 2012 tax returns as soon as possible. Lenders re-verify income (beyond W2s or 1040 – tax returns) with tax transcripts from the IRS via Form 4506. As we near “tax season” it takes the IRS longer to process and provide this information. days prior to closing, employment is re-verified. If there are changes to employment or the employer is difficult to reach, this may cause a delay. a “soft” credit pull is done prior to closing as well to make sure no new debts have been acquired by the buyer. If there are new debts, the buyer will need to be re-approved factoring in the debt payments. If the credit report is getting ready to expire prior to closing, a new credit report will be obtained. This may have additional impacts to the transaction if there are changes to debts or credit scores. What is the BIGGEST issue with buying a home today in Seattle? INVENTORY! This probably comes to no surprise to Seattle area home buyers in the $300,000 – $700,000 price range hoping to find a non-distressed home to make an offer on. If you have been considering selling your home, NOW could be an excellent time to consult with a real estate agent…and I’m happy to recommend one to you! As always, if you’re looking to buy a home or refinance your mortgage on a home located anywhere in Washington state, please contact me. 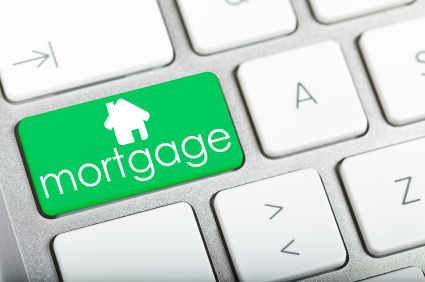 I have been originating mortgages at Mortgage Master Service Corporation since April 2000 and I’m happy to help you! Are First Time Home Buyers Missing Out? The Campbell/Inside Mortgage Finance HousingPulse Tracking Survey, released last week, found that first-time home buyers were purchasing only 34.7 percent of the homes sold in October. That’s down from 37.1 percent in September, and is the lowest percentage ever recorded by the survey. This decline surfaces as purchases of non-distressed homes—houses that are not in foreclosure—have increased dramatically in 2012. The report shows that the vast majority of the homes being sold are regular purchases—accounting for 64.7 percent of all houses sold in October, up from 55.7 percent in February. The increase is a sign of strength in the housing market, as fewer people are buying homes in foreclosure. The article continues to speculate that part of the reason why first time home buyers are not participating as much as other buyers is partly due to tightening underwriting guidelines. If someone has been considering buying their first home, I highly recommend they get started with the pre-approval process early. Lenders want to avoid another mortgage meltdown and want to make sure that borrowers qualify for the new mortgage. That might sound like a silly or obvious comment, however during the “subprime era” many home buyers did not qualify for the mortgage. Ultimately, underwriting guidelines are intended to measure a borrowers capability to repay the mortgage and to not have the home become a “distressed property”. Underwriters are looking for a borrowers financial strengths and weaknesses when reviewing an application for a mortgage. In an article I wrote a few years ago, I compared this to a chair with each leg of a chair representing a financial quality that underwriters consider: credit, employment, income and assets. First time home buyers don’t need to be discouraged, they do need to be prepared. Mortgage rates are extremely low making this a great opportunity to buy if one wants to. I’ll share some tips on what first time home buyers can do in a follow-up post. According to Fannie Mae’s Monthly National Housing Survey, many Americans believe that home prices are on the rise. If you are shopping for a home in the Seattle area, you probably know this to be true and may have experienced a bidding war or two. If you are considering taking advantage of today’s very low mortgage rates and home prices, it’s crucial that you get preapproved by a qualified local mortgage originator. A preapproval means that you have provided your supporting income and asset documents to prove you have the ability to purchase the home. If you have not provided income and asset documents to your lender, you are most likely not “preapproved” and may only be “prequalified”. I’m happy to assist with the financing of your home located anywhere in Washington state. It all starts with a review of your financial scenario – click here to start the application process.